It is now spring, getting on towards the end of it anyway, and this is one of my favorite times of the year in Austin. I can drive with the windows down, music semi-blasting (I’m not young anymore, I’ve got to take care of these aural devices.) The sun is starting to set later and later, which brings le coucher de soleil closer to the moments when I meet friends for drinks or dinner, or, on rare occasions, begin a night of bacchanalian revelry with those friends that are better labeled bad influences. 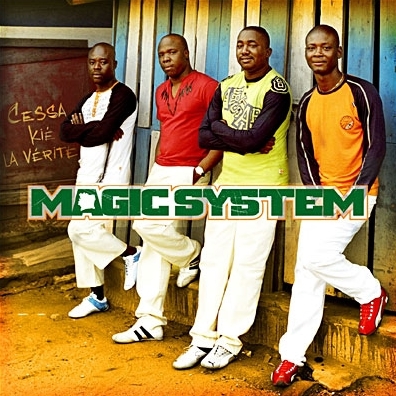 Magic System is from Côte d'Ivoire (Ivory Coast) and their music is called Zouglou. There was a stint when I lived in NW Austin, around the Four Points area. Sometimes too far from my preferred haunts in and near downtown, Magic System made that journey much more tolerable. Let the opening notes blow past your ears and the wind blow through your smartly coiffed hair as you descend Tumbleweed hill, foot covering the brake pedal so as not to achieve enough velocity to attempt low-earth orbit or earn some sort of traffic citation. Cross under 360, pass County Line BBQ and the music, already getting you in the mood to dance, rhythms you in and out of every turn and switch-back on the descent to Mopac. Go ahead, play it twice, get yourself to Loop 1 to head south for downtown. Now that you know the route, give your Sunday drive a Zouglou kick! I recently wrote that, for me, Austin has a very unique soundtrack, in much the same way that Saïan Supa Crew will always be my accompaniment on the #31 bus in Paris, or Akhénaton the background to my treks in the métro from Line 13 in St Lazare to Auber for RER A. Whenever I’ve much on my mind (what I often refer to as S. O. double M.), I’m wont to either take my dog, Finn, on a longer-than-usual walk, or sometimes a little car ride. Let the record show we were stopped at a light! With gas prices what they are, I’m far less likely to do the latter these days, but it still happens on occasion. On these vehicled excursions, I really get into the thinking groove, the reflecting mood, on the drive going north on 360 from Mopac to 183. It is exactly long enough, with a good dose of the Austin skyline mixed with the quiet solitude of the hills, to create the sense it’s only you, your dog, your car and possibility. Like a sumo wrestler eating for his next big match, the vibe is enhanced when making the drive at night. And though Ted Mosby is mostly right, this is probably the only thing that gets better after 2AM. All you need do is cross the Pennybacker Bridge, the suns of other systems winking at you, the lap of lake waving you on, and you can stretch into the world. In just a few miles, windows down, dog chilling on the back seat, the running away into thought, singing at the top of your lungs, all is captured by one song: “Désolé.” And sometimes, as if watching from outside the car, scarcely a few feet above, I imagine I’m making my own video for it. This is just a minor escape, five fleeting minutes, with the crisp night air, Finn up way past his bed time, volume up even higher. The world seems a little more conquerable as I leave the embrace of the hills to get back on 183 to head home. Though this might be my preferred route, song and place dancing inextricably in my mind, to be honest, any night drive will do. Try it once and see for yourself. But try the song first. POLYGLOT AUSTIN: OUR MULTILINGUAL, MULTICULTURAL CITY! Polyglot Austin: Our Multilingual and Multicultural City! Polyglot Austin: Our Multicultural & Multilingual City! All written content on this blog is produced and owned by Freestyle Language Center.